Hexagon Classics are delighted to offer this stunning Porsche 911, 964 Turbo 3.6 in midnight blue. The car is wonderfully low mileage and is surely one of the best examples of this extremely rare 964 available today. Porsche released the 964-model range in 1989. This new model marked the first revolution and major shake up of the 911 model range during its 25-year history. 85% of the components were revised over the previous incarnation and represented a major step forward for the marque. 964’s are usable everyday cars that can be enjoyed with ease. The 964 Turbo 3.6 epitomises this like nothing else as it provided the comfort, ease of drivability and style of a standard Porsche 964, but at the same time came in a package that was able to deliver supercar levels of performance. The 3.6 litre turbocharged engine produced 360bhp and 520Nm of torque. These are substantial power outputs even by today’s standards. The 964 Turbo 3.6 was able to right the wrongs of the previous 930 Turbo as demonstrated by Autocar’s review in 1991 where they stated, “Porsche has achieved the seemingly impossible; taming and invigorating the Turbo simultaneously.” Driving a 964 Turbo today, it is plain to see why their popularity amongst modern classic collectors is growing; it’s an instantly invigorating experience. Fewer than 1,500 964 3.6 Turbos were produced in total, making it one of the rarest and most sought-after Porsches produced since the fabled 959, making this a real opportunity for the collector. The car was UK supplied when brand new by AFN Chiswick and boasts and extremely low mileage. It comes complete with an extensive history file, stamped handbooks, leather wallet, MOT history and a certificate of authenticity. 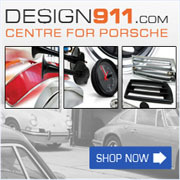 This is a fantastic opportunity to collect and extremely rare and highly desirable 911 that surely cannot be missed. The car is available for viewing at our London showroom.